The Lalit Kala Akademi (National Academy of Fine Art) is the premier fine art institution of the Government of India to promote, spread and develop Indian fine art culture. It is a non-profit, autonomous body, funded by the Ministry of Culture. In pursuance of its role, LKA holds exhibitions, institutes scholarships, sponsorships, fellowships, assistance schemes, Lifetime Achievement Awards, and publishes documentary material. It also conducts Triennale India, and the National Exhibition of Photography and Art. History of Lalit Kala Akademi - The Lalit Kala Akademi was inaugurated in New Delhi on August 5th, 1954, by the then Minister for Education, Maulana Abul Kalam Azad. The youngest of the three Akademies founded by the Government of India, the Lalit Kala Akademi was established in pursuance of the dream of the first Prime Minister of independent India, Pandit Jawaharlal Nehru for a cultural and national identity. Thus the Lalit Kala Akademi as one among three such national organizations, that emerged. The LKA was the principal establishment to direct its focus on activities in the field of visual arts. In his inaugural speech, Maulana Abul Kalam had stated:"…The Akademi must work to preserve the glorious traditions of the past and enrich them by the work of our modern artists. It must also seek to improve standards and refine public taste..."
The president appointed Shri Kalyan Kumar Chakravarty as Chairman of Lalit Kala Akademi on 12th Feb 2012. Shri Chakravarty will hold office till the end of the calendar year in which he completes 70 years of age i.e. up to 31.12.2017. *Incorporating amendments approved by Government of India Ministry of Human Resource Development, Department of Culture in their notification No.3-34/97 Desk (PA) dated 8th January 1999 and Ministry of Tourism and culture’s notification No. 3-20/2000 US (Akademies) dated 13.5.2002. To foster cultural contacts within the country and also with other countries, through art exhibition, exchange of personal and art objects, etc. To create a Reserve Fund, Sinking Fund, or any other special fund, whether for depreciation or for repairs, improving , extending or maintaining any of the properties or rights of the Akademi and or recoupment of wasting assets and for any other purposes for which the Akademi deems it expedient or proper to create or maintain any such fund or funds, provided that no part of grants received from the Government of India or any part of income derived out of expenditure met from the Government of India grants shall be transferred to any such funds without the prior approval of the Government of India. To do all such other acts either on its own or in conjunction with other organisations of persons as the Akademi may consider necessary, incidental or conducive to the fulfillment of above said objectives. The Lalit Kala Akademi has instituted several awards and honours to be conferred on artists in recognition for their outstanding work in the field of art. Of all these awards and recognitions, the honour of Fellow of the Lalit Kala Akademi is regarded as the highest honour conferred on an artist by the Lalit Kala Akademi. This prestigious recognition in the field of art has been instituted by the Lalit Kala Akademi, ever since 1954 and so far, … artists have been honoured by the National Academy of Art. In art circles in India, the honour of Fellow of the Lalit Kala Akademi is regarded as the highest recognition and honour that can be bestowed on an artist in the country, it being the national body of art created by the Government of India. The honour of Fellow is thus bestowed by the Akademi as an annual recognition, on veteran art masters, who have done the country proud and have taken forward Indian contemporary art to great heights by dint of their art contributions. Indeed their art is acknowledged as path-breaking and their works are researched and respected by academics and the art-loving public and acknowledged as pioneering trends in Indian contemporary art. Even in the international field their works are given utmost importance and are held up as signature art generating trends and standards for Indian contemporary art. The task of choosing a candidate considered ideal for this honour is taken up by the Members of the General Council of the Lalit Kala Akademi. It is therefore obvious that the selection process for a Fellow of the Lalit Kala Akademi is carefully laid out and scrupulously adhered to by the General Council of the Lalit Kala Akademi so that the honour is conferred on the most deserving candidate, thereby upholding the dignity and honour in which this esteemed recognition is held. Clear guidelines are provided to the Members. A majority of three-fourths of the Members, present and voting, elect not more than one Fellow of the Akademi out of the names placed before them by the existing Fellows of the Lalit Kala Akademi. The existing Fellows are given clear guidelines about the modus operandi of selection. They examine the career achievements of the proposed Fellow and this is duly verified and presented by the Secretary of the Lalit Kala Akademi. Each Fellow may recommend not more than one name of an artist, art critic, art historian, or a person who has rendered outstanding service to the cause of Indian contemporary art. Grants are forwarded to various organisations and institutions by the Ministry of Education, on the recommendation of Lalit Kala Akademi. In the year of its inception, ten organizations were chosen to forward the grants to. Among them were, All India Arts and Crafts Society, New Delhi, Academy of Fine Arts, Calcutta, Art Society of India, Bombay, Hyderabad Art Society,and Saurashtra Kala Mandal, Rajkot. In 1956, apart from according grants to sixteen institutions, token grants were accorded to the Camera Society, Delhi and a special grant to Saurashtra Kala Mandal. By 1958, as much as Rupees Forty two thousand was being diverted towards the same cause. From that year onwards, the Akademi also began conferring its recognition to various institutions and helping them to successfully establish their purpose. In 1961, recognition was accorded to Chitra Kala Sangam (New Delhi) and Indian Society of Oriental Art (Calcutta). A total subvention of rupees ninety three thousand was made among twenty-two organisations and institutions and four state akademis. By 1963, the recognition and grants sub-committee came to a decision that recognition would now be given to organisations only after careful scrutiny. Hence, no new akademis were given fresh recognition between 1964 and 1967. A few of the recognised state Akademis and institutions were forwarded subventions as seemed fitting to the decision making body. In 1968 recognition was accorded to five upcoming organisations from around the country. By 1970, grants were also being forwarded to libraries for obtaining books, to various galleries to host camps, workshops and exhibitions apart from the various societies and the state akademis which featured on the list till then. By 1974, the amount being given away as grants was as much as rupees one lakh fifty thousand. By 1985, research grants were acceded to various upcoming talents enabling them to hone their skills better, artists were being aided in their work through the Artists Aid Fund and the Chairman’s discretionary fund was of assistance to build master exponents and to help visual arts grow. This was also the time when special courses in Traditional Art were conceived of where young artists could learn from the great masters of the field. The early 90s saw as many as sixty organisations receiving developmental grants. As many as twenty six research grants were awarded and eleven artists benefitted from the artists aid fund. After the revision of the rules of the Grants-in-Aid in 1997, scholarships were included and eighty students received this scholarship in the year 2000. 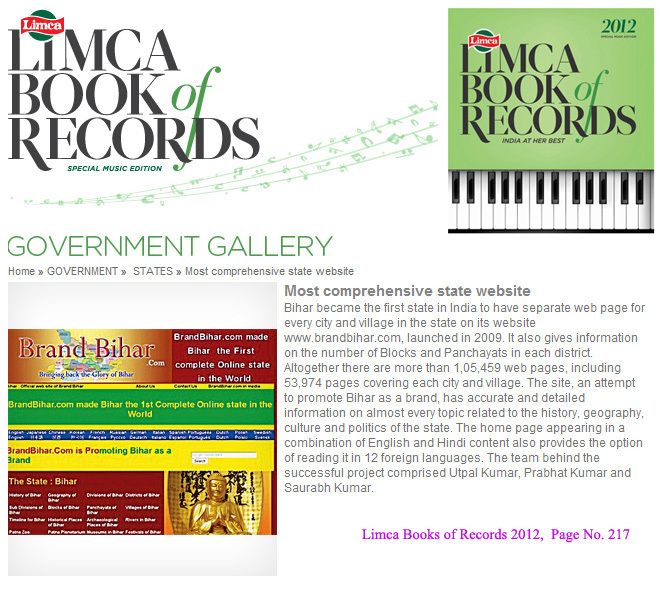 By 2006, almost rupees ten lakhs was being spent by the grants committee. In 2008, a special scholarship on visual arts was introduced, and the Akademi accepted 65 of the 410 students who had applied for the same. The Akademi has an entire department devoted to grants and scholarships in an attempt to fulfil its primary objective of nurturing art.